NECA has been very kind to fans of numerous horror and sci-fi properties over the last decade with their action figure releases. The most popular lines they have produced include figures from films like Predator, Alien and Friday The 13th. As part of the holiday spirit, they have been counting down their 12 Days Of Downloads and each day they post downloadable diorama background images for your favorite figures. 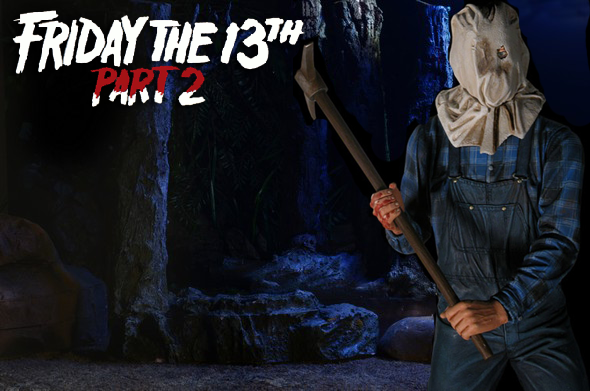 Recently, they posted background images for Jason Voorhees from Friday The 13th Part 2! 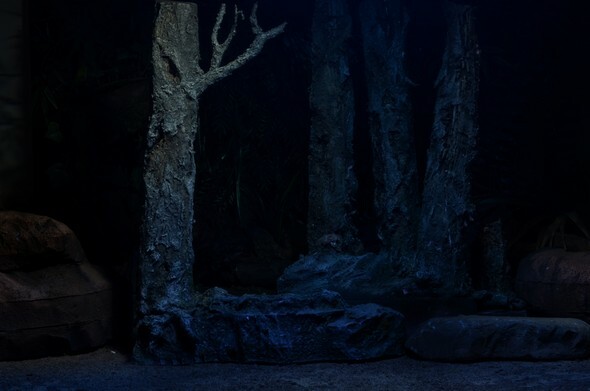 These backgrounds have been used for promotional shoots for the Part 2 Mego figure and they show an eerie forest backdrop. Below are just a few of the images that are being offered, but these are not the resolution of image you want to use for printing. 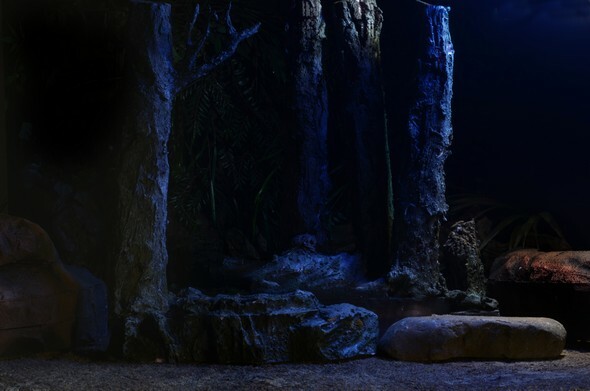 To download the proper sized resolution photos for printing to create your own Friday The 13th diorama, please visit necaonline.com.